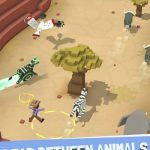 Rodeo Stampede: Sky Zoo Safari is a new mobile title from Yodo1 Games that’s now available for Android and iOS devices. It’s a unique rodeo game, as you’re going to have to saddle up and get ready to wrassle (wrestle) with the stampede-iest critters this side of the savannah. In other words, you won’t be dealing with bulls or broncos or such, but rather elephants, ostrich, buffalo, and other animals, all while wearing your ten-gallon hat and arming yourself with your lasso. After dealing with the animals in the wild, you’ll then take them to your zoo and let your patrons gaze in wonder at what you had just caught. Aside from those basic features, you will also have to be careful of the obstacles that will get in your way, but once it’s all said and done, you can then tend to your zoo, expanding and managing it as you celebrate what should be a job well done. But it won’t be a very easy job to do, unless you join us for an exclusive Rodeo Stampede strategy guide, as well as a bunch of tips and tricks, where we talk you through everything there is to know about the game, from catching the animals to managing your zoo. Like in the real world, every animal in this game has their own strong points and weak points. And since you’ll also be riding them like real-life rodeo cowboys ride bulls and broncos, the animals in Rodeo Stampede will react differently if you ride them for too long, though the outcome will always be the same – they won’t like it. It also takes the animals varying times to get angry. Consider this comparison of two Rodeo Stampede animals: elephants are strong enough to power their way through other animals, and are a bit quick to anger. Strangely enough, they also happen to be very fast. Buffalos, on the other hand, run slowly and don’t get mad too quickly, and react when angered by bucking your character off, then running in random directions. You’ve also got birds, which are able to fly above all obstacles, but swoop down rapidly if you’ve angered them by staying on for too long. It always differs based on the animal, but the common thread is there – different special skills, different stats, different thresholds of anger. As we said above, all of the animals in this game will get irritated, or should we say angry, once you ride on them for too long. That would require you to jump from one animal to another and switch mounts; you’ll know if the time is right to do this if you see a red exclamation point flashing next to the animal you’re riding. This will prevent you from getting tossed, and of course, keep the animals happy. Just to remind you of this mechanic once again – you wouldn’t like them when they’re angry. As a bonus tip, you won’t see the exclamation point near the elephant and some larger animals, as they will toss you off immediately once you’ve gotten them mad. It’s important that you focus on completing the missions available to you in this game. This will serve as one of the main ways for you to earn coins in this game, and will also allow you to unlock more content and access more of the map. You can complete the challenges, which are pretty much like quests, by naturally playing the game, though it always helps to check what your challenges are (e.g. ride a certain number of buffalo on your next run, travel a certain distance, etc.) so you can complete them faster. Once you’re ready to unlock a new area in the game, go to your map, click on Explore + Expand, and pay the required number of coins so you can play in that area. That’s going to allow you to meet more animals and add them to your zoo, while opening up a new zone for you to do your runs in. The animals in this game can earn you some money whenever you do a cruise, but aside from that, you can also choose any animal – and we mean any animal – that you’ve already ridden and/or befriended before starting these cruises. Go to the zoo enclosure, choose the animal by tapping on it, then ride away. 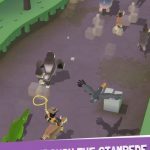 While your choice of starting animal is all up to you, we suggest elephants, which, as we’ve noticed, aren’t just the strongest, but also the fastest animals in Rodeo Stampede. You will first see the ostrich once the second area of the savannah has been unlocked. And while the elephants are surprisingly fast (we still can’t get over this), the ostriches are faster. And it won’t be immediately obvious once they get mad, because they will first speed up a bit, and very gradually, once enraged. But as they build up speed, you’ll be holding on desperately, trying you best not to fall off the creature. It may take some practice, but if you’re able to hang on to an ostrich even if it’s furious/moving at a furious pace, you can travel great distances. While missions cruises will be your main source of income in the game, there will come a time when you wouldn’t have a chance to go on a cruise for some time. If that happens, smash the crates while on a run and get about five to ten coins per pop. That’s not much, but as it almost always turns out, it’ll add up. You can also choose to pay coins to start your cruise ahead of schedule, though you’ll have to be careful when doing this. You’ll still need to ensure that you earn a profit from your cruise, so don’t overpay to expedite things. It’s a common mistake for players to tap-and-hold in order to lasso an animal at the time they’re highlighted in the circle. Instead, you should do this tap-and-hold motion the moment you jump off of your ride. Once you do this, your character will launch himself or herself onto a new animal once they’re in the right range. This is a very efficient way to move from mount to mount, so practice this trick whenever you could. The money you earn while on cruises can become more substantial if you upgrade your zoo’s enclosures, so don’t forget to visit your zoo and upgrade those enclosures once you can afford it. Also take note of the coins that are randomly located in your zoo; collect them to add to your total. These are just single coins that you may find in the walkways of your zoo, but they can add up, and will add up over time. There are also other benefits to upgrading the habitats in your zoo and leveling them up, beyond the revenue boost we told you about earlier. Consider the zebra habitat, for instance; leveling it up to Level 2 will allow zebra bucks to push nearby animals away while you’re on a run. That’s just one example, and once again, it will differ from animal habitat to animal habitat. Check the benefits of each upgrade and focus on the ones you believe would help you out the most. Although jumping from one animal to another will prevent you from getting them angry, that will also serve a purpose later on in your run; usually, you’ll need to do this once you reach the 1,000m mark or so. That’s when the herds will be much tighter than usual, and since it’s going to be very hard to weave in and out of those herds, you can work around this by jumping from one animal to another, just as long as you don’t clip another animal by accident. As you complete more challenges, you’ll get to unlock more of the map, and that’s going to allow you to collect more animals and earn more money, like we said above. While it may seem like good fun to keep replaying that one run over and over again, replaying is only good for practice here. 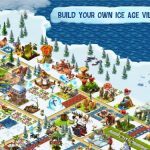 If you want to expand your zoo and add more animals, while making more money out of it, the best way to do this is to keep expanding. 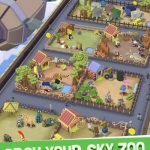 This wraps up our detailed strategy guide for Rodeo Stampede: Sky Zoo Safari. We hope you’ve enjoyed this guide, and learned some tips and tricks, that will help you progressing in the game.